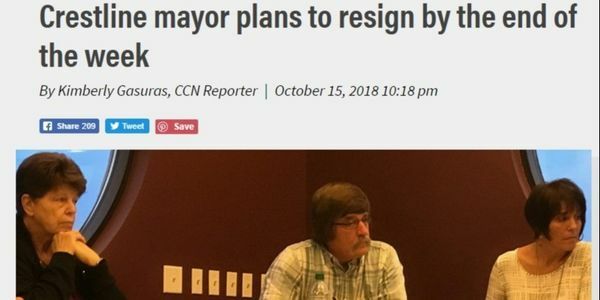 After his attempted cover-up of the incident, it has come to light that Crestline Ohio police chief Joe Butler was placed on administrated leave due to the fact he reported numerous racist slurs by Mayor Allen Moore calling residents of Crestline "Niggers". This was captured on the police chief's bodycam. Crestline residents deserve a Mayor who repects all residents without racial bias. WE ARE SUCCESSFUL!!! THANK YOU FOR YOUR SUPPORT!!!! !